Gold Coast is a city located in Queensland and his population is 591,473 inhabitants. 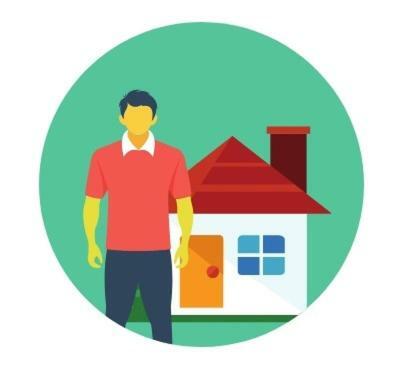 On this page you can consult informations about distances and roadmaps from Gold Coast to major cities and places in Australia. 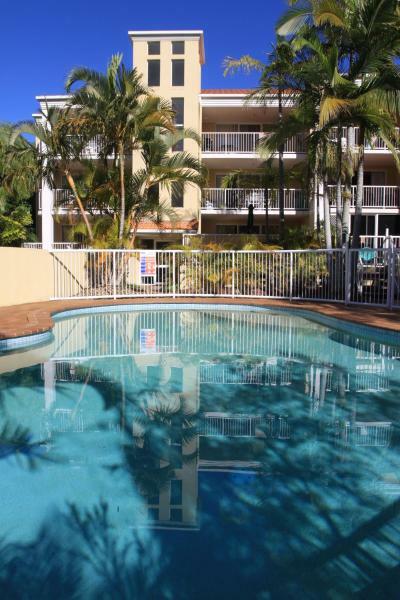 Located opposite Burleigh Heads National Park, Koala Cove Holiday Apartments feature a saltwater swimming pool, and free secure covered parking. These self-contained apartments offer a private balcony and a fully equipped kitchen. This hotel is 10.99 km from city center. 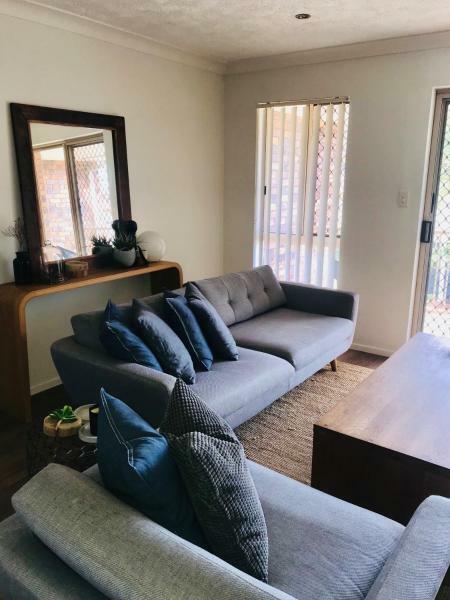 Boasting a barbecue and a shared kitchen, Timbertop for Life is ideally situated in Gold Coast, 6 km from Robina Town Centre and 6 km from Currumbin Wildlife Sanctuary. It has free bikes, a garden, mountain views and free WiFi. This hotel is 10.66 km from city center. 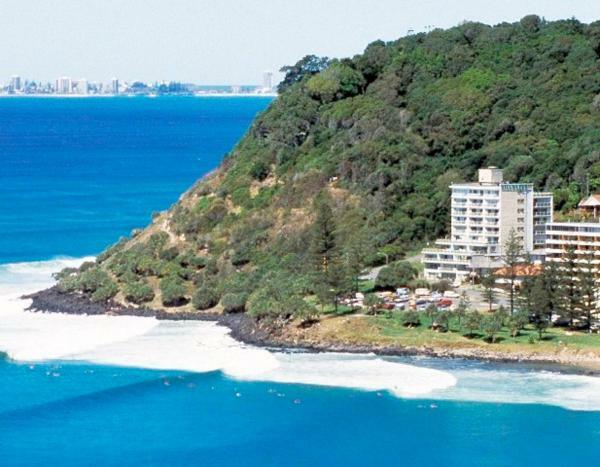 Situated in Gold Coast, 6 km from Currumbin Wildlife Sanctuary, Hidden Gem Burleigh Heads features views of the mountain. Free WiFi is featured throughout the property. 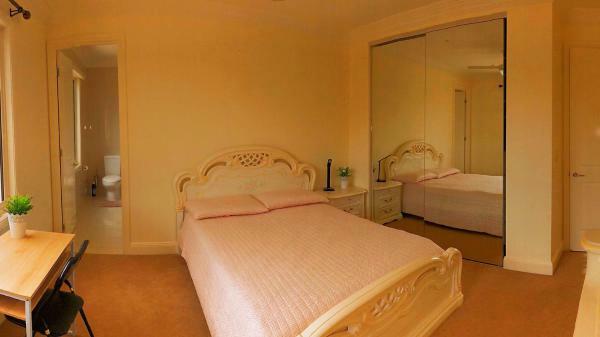 This B&B offers a choice of a self-contained Studio Apartment within the B&B. This hotel is 10.64 km from city center. 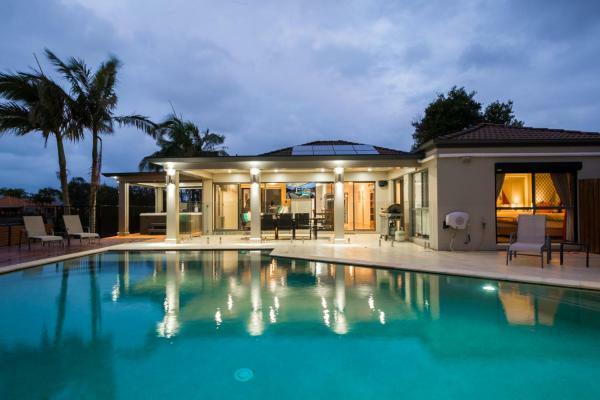 Situated in Gold Coast in the Queensland region, Luxury Waterfront Home features a garden. This holiday home features a year-round outdoor pool and complimentary WiFi. This hotel is 10.24 km from city center. 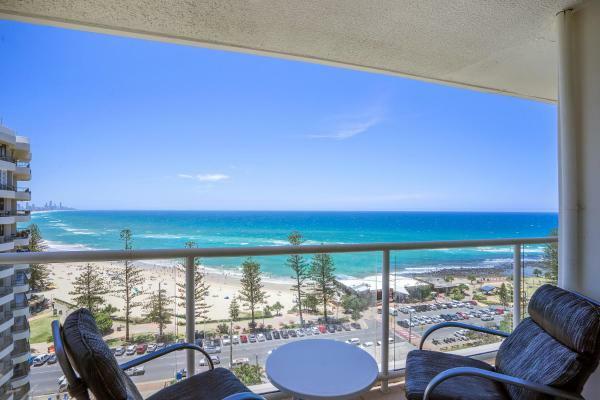 Located opposite Burleigh Beach, Gemini Court Holiday Apartments offers self-contained accommodation with full kitchen, private laundry and spacious living areas. Each private balcony has stunning ocean views. This hotel is 10.42 km from city center. 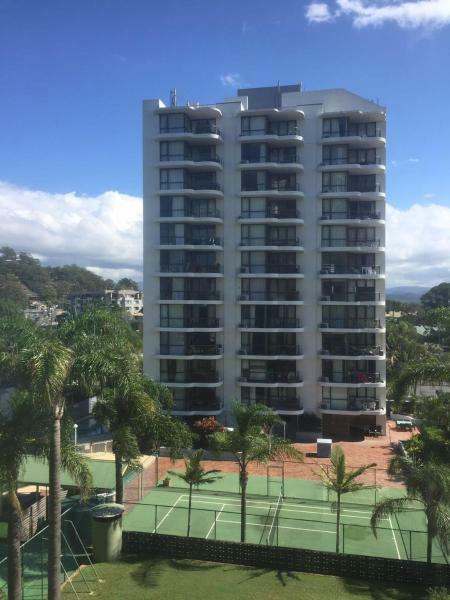 Located just 100 metres from the famous Burleigh surf beach, Swell Resort offers spacious and fully self-contained apartment accommodation. Facilities include a swimming pool and a full-size tennis court. This hotel is 10.35 km from city center. Varsity Lakes 水景别墅 is situated in Gold Coast and offers a garden. Guests have access to free WiFi. Robina Town Centre is 4.2 km from the homestay. The nearest airport is Gold Coast Airport, 17 km from Varsity Lakes 水景别墅. This hotel is 10.38 km from city center. Park Towers Holiday Units is set in Gold Coast, within less than 1 km of Burleigh Head National Park and 7 km of Currumbin Wildlife Sanctuary. This hotel is 10.38 km from city center. 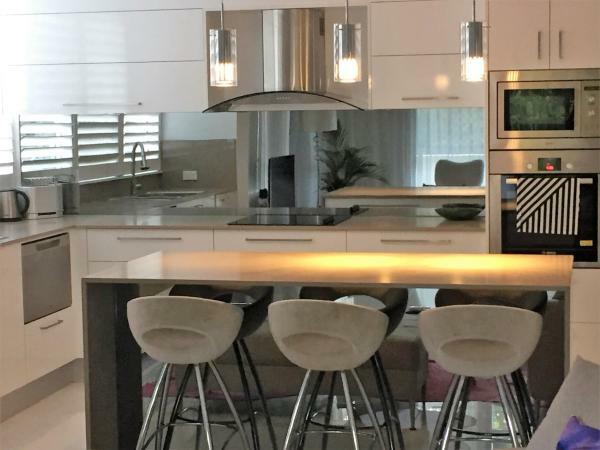 Stunning Burleigh Beach Apartment, featuring a tennis court and a fitness centre, is set in Gold Coast, 800 metres from Burleigh Head National Park and 7 km from Currumbin Wildlife Sanctuary. This hotel is 10.29 km from city center. 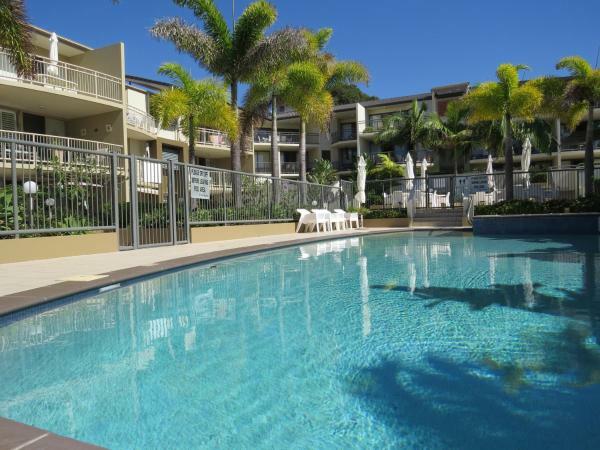 Hillhaven Holiday Apartments offers spacious self-contained apartments next to Burleigh Heads National Park. 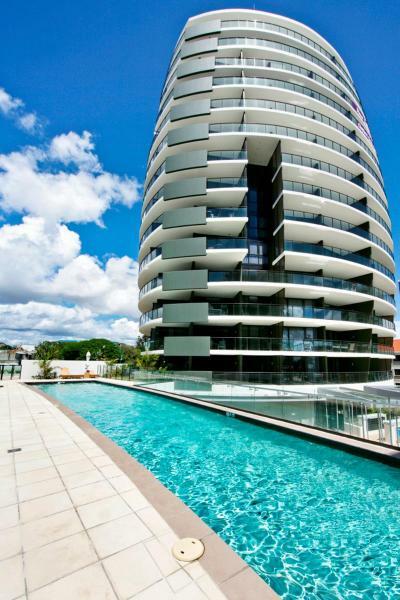 All have a private balcony with views over the Pacific Ocean towards Surfers Paradise. This hotel is 10.37 km from city center. 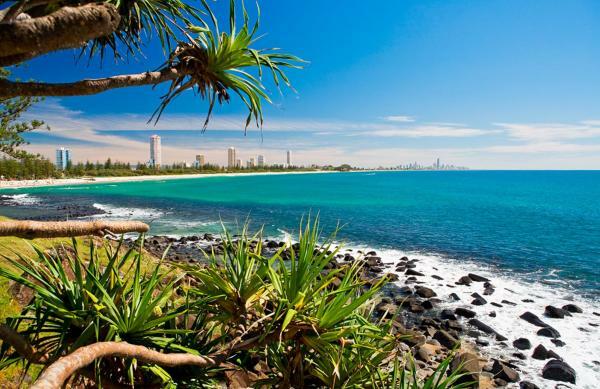 Set 500 metres from Burleigh Head National Park, Burleigh By The Sea is located in Burleigh Heads of Gold Coast. With sea views, this accommodation provides a balcony. This hotel is 10.33 km from city center. Just 200 metres from Burleigh Heads surfing beach, these luxury holiday apartments include a swimming pool, heated spa pool and BBQ area. The resort’s restaurant offers à la carte outdoor dining. This hotel is 10.22 km from city center. 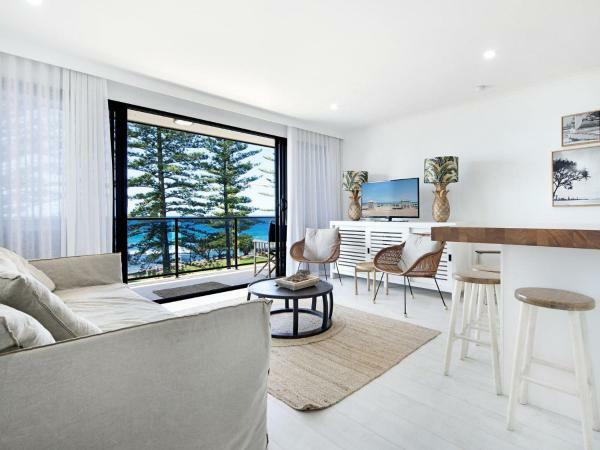 Located opposite the surf beach at beautiful Burleigh Heads, Bujerum Apartments on Burleigh is a 5-minute walk from vibrant James Street, with a variety of cafes, restaurants and shops. Guests here enjoy lovely ocean views from their private balcony. This hotel is 10.30 km from city center. 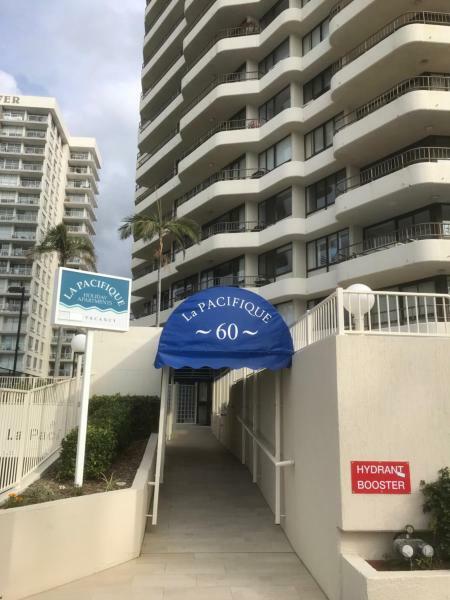 Situated in Gold Coast, within 700 metres of Burleigh Head National Park and 7 km of Currumbin Wildlife Sanctuary, La Pacifique Apartments offers accommodation with free WiFi. This hotel is 10.23 km from city center. 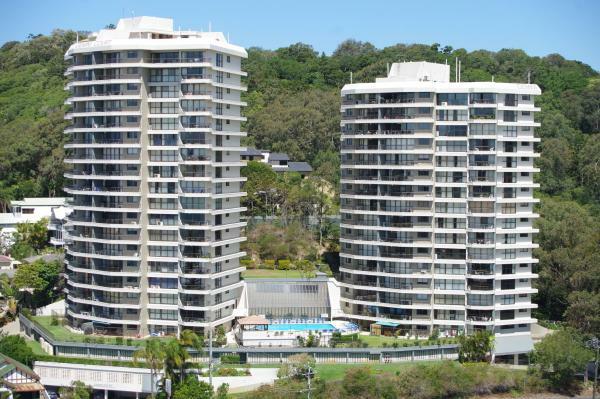 Located directly opposite Burleigh Heads Beach, Burleigh Tower offers self-contained apartments with a private balcony overlooking the ocean. It features a full-size tennis court, a swimming pool and a hot tub. This hotel is 10.22 km from city center. Ambience on Burleigh Beach is located opposite the popular Burleigh Heads Beach. It offers apartments with a private balcony and full kitchen and laundry facilities. Guests have access to a 25-metre lap pool, a hot tub and a fitness centre. This hotel is 9.98 km from city center. Featuring a private walkway for direct beach access, Burleigh Palms offers spacious Gold Coast holiday apartments with private balcony. Facilities include a heated outdoor pool and barbecue area. This hotel is 9.90 km from city center. 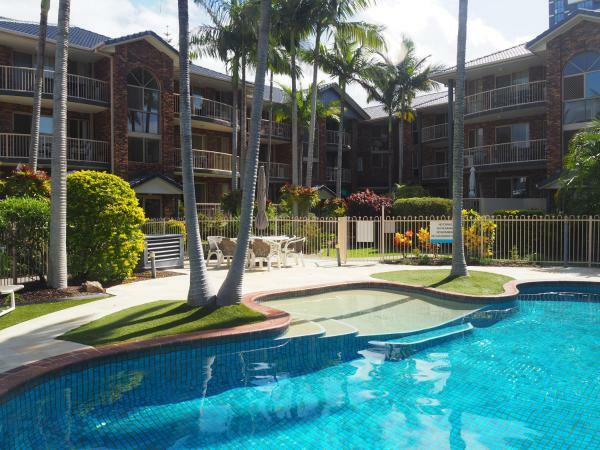 Featuring free WiFi, Oceania Apartments is set in Gold Coast, 6 km from Pacific Fair Shopping Centre. Free private parking is available on site. All rooms come with a flat-screen TV with cable channels. DVD players are available for hire, on... This hotel is 9.88 km from city center. Only 50 metres from the beach, each of these fully self-contained apartments includes a private balcony that faces the Pacific Ocean. Guests can enjoy a BBQ beside the outdoor heated pool with spa pool. This hotel is 9.86 km from city center. 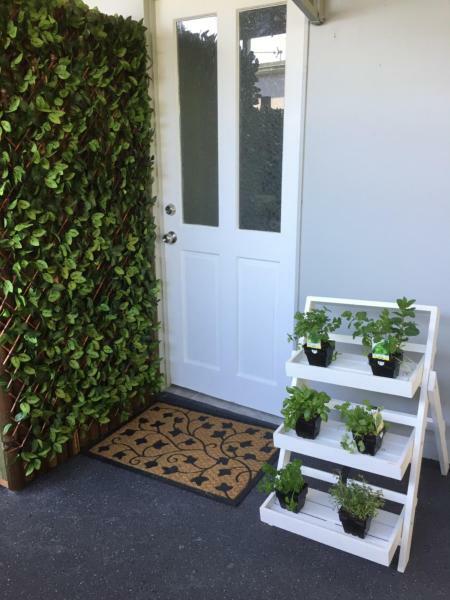 Ma's Place, a property with free bikes and barbecue facilities, is situated in Gold Coast, 5 km from Robina Town Centre, 6 km from Burleigh Head National Park, as well as 8 km from Pacific Fair Shopping Centre. This hotel is 9.71 km from city center. 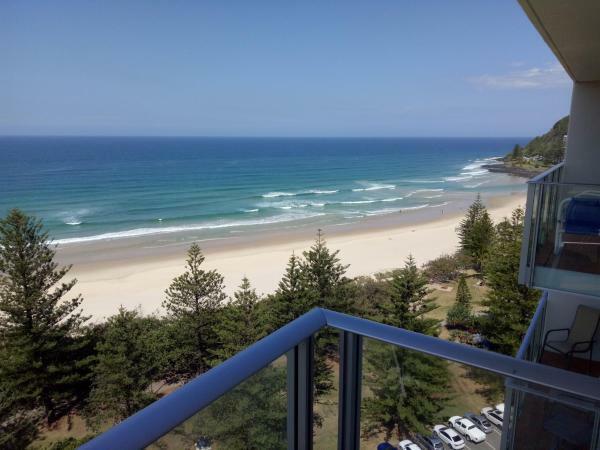 Directly opposite the famous Burleigh Beach, Pacific Regis offers self-contained accommodation with private balconies and gorgeous ocean views. The complex features 2 swimming pools, a tennis court and a hot tub. This hotel is 9.83 km from city center. 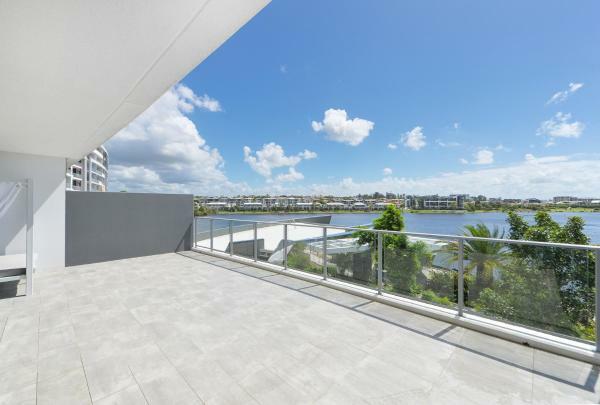 Boasting lake views, Fantastic Laker View Apartment with Large Balcony is set in Gold Coast, 3.2 km from Robina Town Centre. This property offers access to free WiFi. This hotel is 9.94 km from city center. 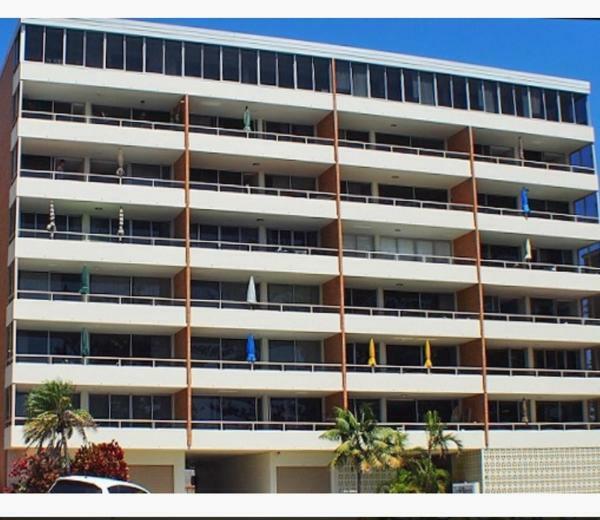 Oceanside Cove Holiday Apartments is 50 metres from Burleigh Heads Patrolled Beach. It offers self-contained apartments, a solar heated outdoor pool and free parking on site. This hotel is 9.75 km from city center. Located 1.7 km from Burleigh Head National Park in Gold Coast, Oceanside Cove offers accommodation with a kitchen. This apartment provides air-conditioned accommodation with a terrace. This hotel is 9.74 km from city center. Guests can relax in this 2-storey retreat which provides free WiFi throughout and free on-site parking. Unwind in this gorgeous retreat is situated in Gold Coast, just 3 minutes' drive from Burleigh Beach. This hotel is 9.45 km from city center.